Saturns rings are one of our solar systems magnificent sights, but may be a relatively recent addition, according to data obtained from NASAs Cassini spacecraft before the robotic explorers 2017 death plunge into the giant gas planet. 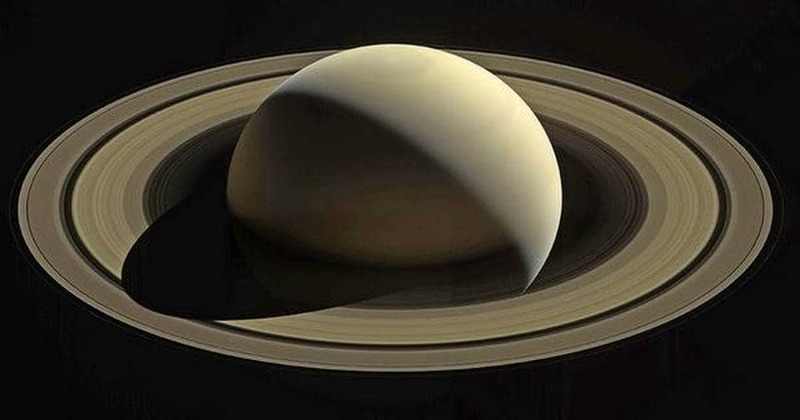 Scientists said that a calculation of the mass of the rings based on gravitational measurements of the planet collected by Cassini indicated they formed between 100 million and 10 million years ago in roughly the final 2% of Saturns current age. The findings challenge the notion favoured by some astronomers that the rings developed soon after Saturn formed about 4.5 billion years ago along with the other planets, including the earth. Others felt the rings were much younger, but lacked crucial data like their mass to estimate their age reliably. The ring mass turned out to be 45% lower than previous estimates based on 1980s data from NASAs Voyager spacecraft. Lower mass indicates a younger age, the researchers said in a study published in Science. Scientists suspect the rings formed perhaps when a large icy comet or moon ventured too close to Saturn and was shattered by gravitational forces or moons collided in orbit. Scientists hope that they can, in the future, get samples of ring material to find the precise date of origin.